Many objects in the Universe orbit or go around one another. Moons orbit planets, planets orbit stars and stars orbit the centers of galaxies. In many cases, systems of objects can orbit each other. Binary systems are when two objects orbit a common center of mass. Many stars like the Sun had companion stars when they were born. Watching binary star systems over time can provide evidence to determine the mass of the stars. Some binary star systems can be observed using a telescope over time and their positions change. Some binary systems can be detected by observing the changes in light as one star moves towards us and another moves away from us. 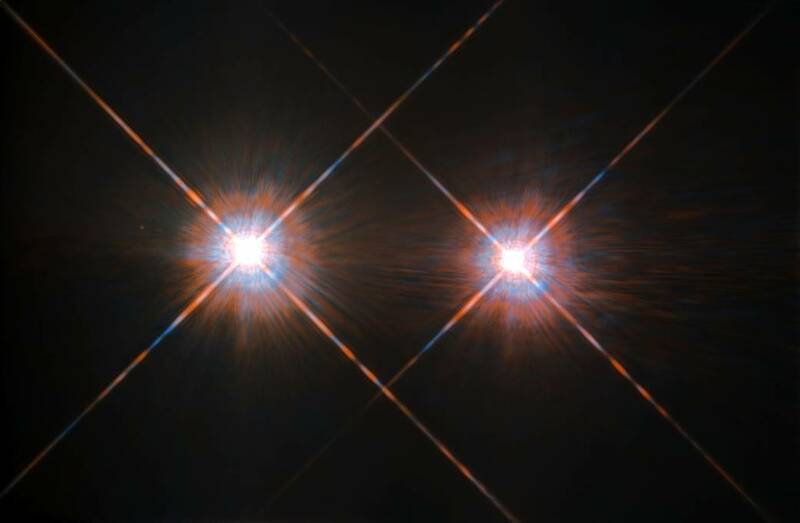 A third type of binary system is an eclipsing binary where the stars line up just right from our point of view so that one star occasionally blocks the light of another star as they orbit. Studying binary systems helps us to build models of how they change over time and how our own solar system and planets may have formed, as well as separating these systems out from other objects that change brightness over time as we observe them. On August 17, 2017, NASA’s missions Fermi, Swift and Chandra worked together with LIGO to confirm a pair of orbiting neutron stars collided in a huge explosion.